There are two versions of Internet Explorer 10 in Windows 8 — Metro and Desktop.If you’d prefer to open the IE Tiles in the Desktop version of IE by default, here’s how. There are two versions of Internet Explorer 10 in Windows 8 — Metro and Desktop. 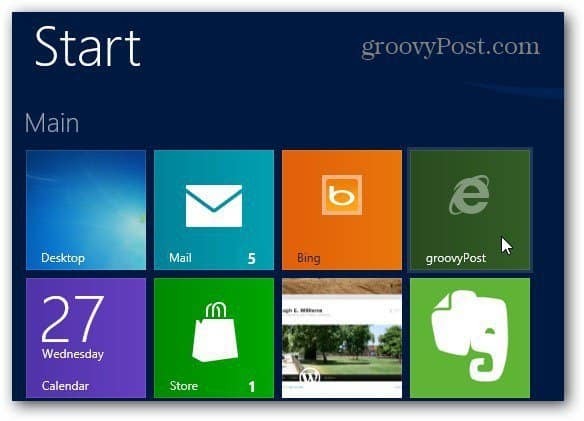 I previously showed you how to pin IE favorites to the Metro Start screen. 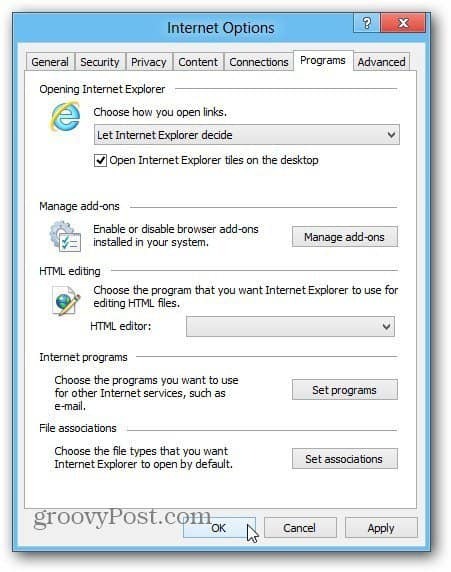 If you’d prefer to open the IE Tiles in the Desktop version of IE by default, here’s how. 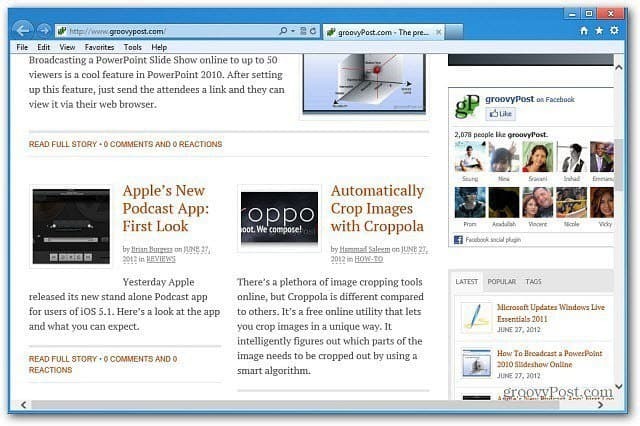 Launch IE 10 from the Windows 8 desktop. Click the gear icon (settings) and select Internet Options. 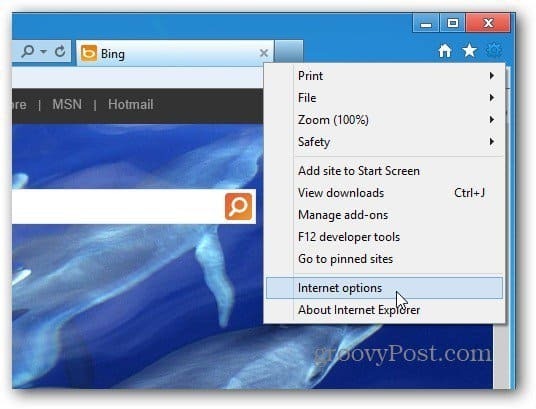 When the Internet Options window comes up, click the Programs tab. Then check Open Internet Explorer Tiles on the Desktop. Click OK. It opens the page in the desktop version of Internet Explorer.